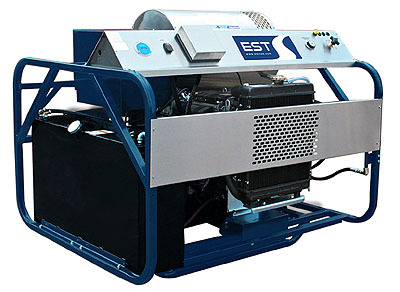 The Premier II Series design for rental and industrial use provides hot/cold cleaning power in a compact design. 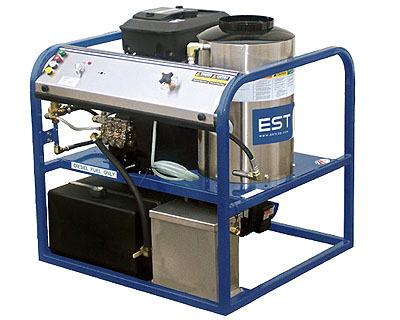 Standard features include tubular steel frame, belt drive pump motor, stainless steel coil wrap and panel, stainless steel float tank, 8 gallon burner fuel tank, four quick-change colorcoded spray nozzles 0˚, 15˚, 25˚, 40˚, 36” insulated wand with trigger gun control. All models are compatible with PT wash trailer. Most models available in UL. The Premier Series provides the highest level of quality and performance available in the industry today. 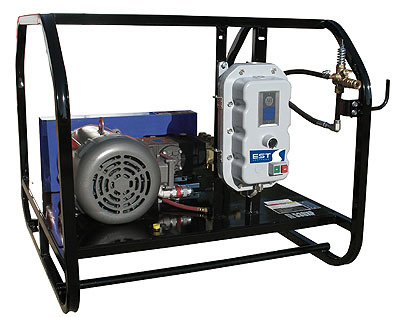 Standard features include 12 volt or 115 volt oil fired burners, 1 1/4” tubular steel frame with stainless steel panel, adjustable temperature control, detergent injection (high pressure soap), dual 18 gallon fuel tanks, four quick-change, color-coded nozzles - 0°, 15°, 25° & 40°, schedule 80 coil, inlet float tank, belt-driven triplex plunger pump, 2900 watt generator (115 V model only), electric start engine, shut-off gun, 36” wand and 50 ft. high pressure hose. All models are compatible with STREAMLINER trailers. Battery not included. Most models available in UL.